You can trust that Second to Creation can help get you there. 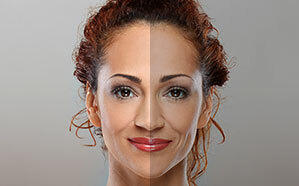 Your chin augmentation will be performed by Dr. Machida, a facial plastic surgery specialist who has performed thousands of procedures over his long career. We’ll customize your chin augmentation based on your unique facial structures and aesthetic goals, and we’ll be there with you every step of the way. 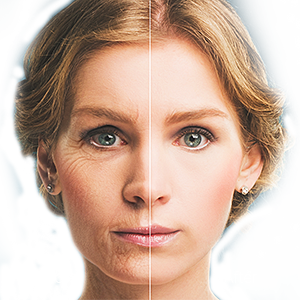 The most remarkable benefit of chin augmentation is its permanent result. But, thanks to the unique qualities of silastic implants, the procedure is reversible if you choose to have your implant removed in the future. If the implant is made out of a firmer material and is sutured into place, then your chin augmentation results can truly last a lifetime. To define the chin, Dr. Machida will implant silastic implants into the chin. Silastic implants are biocompatible, meaning they’re composed of substances that are safe to use inside the body. It also means that when silastic implants are implanted into the chin, they’ll safely adapt to surrounding tissues and the jawbone. Silastic implants are made out of silicone, a flexible material that’s been used in medical procedures for decades. Like the best implants, silastic implants will feel like a natural part of your body once they’ve been inserted. Since they come in a variety of sizes, Dr. Machida can easily customize each implant to fit your chin augmentation needs. Chin augmentation is an outpatient procedure that’s performed in Dr. Machida’s private surgical center. 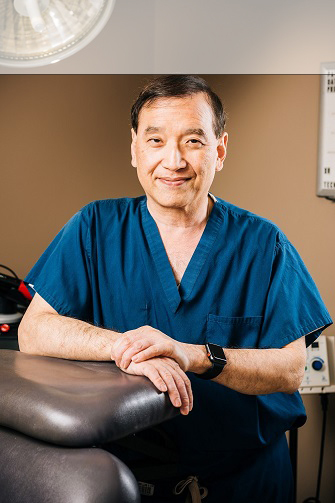 As with all of his procedures, Dr. Machida will use local anesthetics, so the patient doesn’t have to worry about nausea, dizziness, or any of the side effects commonly associated with general anesthesia. In the first step of the chin augmentation, Dr. Machida will make an incision inside the mouth or just under the chin. Then, he’ll create a pocket by gently stretching the tissues inside the mouth. The implant is then placed inside the pocket, and then the pocket is sutured up. All the incisions created in a chin augmentation won’t be easily visible once they heal – even the one under the chin. In general, the chin augmentation is performed in an hour, and the patient can return home the same day of the surgery. You should see an immediate improvement after your chin augmentation, but we should note that our patients do experience some swelling after their procedure. It might seem at first like the implant is too big, but if you wait a few days, the swelling should dissipate and reveal your new chin. Because you are recovering from a surgical procedure, Dr. Machida highly recommends that patients wait around a week before returning to work and regular activities. Patients should also wait until Dr. Machida clears them before they return to working out or other strenuous activity. During your recovery, Dr. Machida advises that you keep your head elevated for the first few days – even during sleep. This reduces the severity of swelling. From the consultation all the way to your recovery, Dr. Machida will be there to support you. Dr. Machida will see patients the day after the procedure, the week after, and the month after until he’s satisfied that you’re having a successful recovery. It’s your face; you should trust nothing less than a board-certified surgeon who is known for their artistry, experience, and specialization in facial procedures. That’s why so many patients in the Inland Empire area choose Dr. Machida – because they know that they’re in the hands of a true expert, and that they’ll be cared for throughout their experience. Dr. Machida and the entire team at Second to Creation are dedicated to helping you feel whole, empowered, and respected. If you’d like to know more about the outstanding patient experience for our chin augmentation patients, contact the Inland Empire’s Second to Creation to schedule a consultation.